BUT this year I have one thing that I want to achieve. Ever since I can remember I have never been confident. I've been a shy 'until you get to know me' shy. I have never really stepped out my comfort zone. 2015 became one of the most eye opening years of my life. Maybe its to do with the fact that for one of the first time I experienced death or the fact I stepped out of my teenage years and turned 20. But one thing is for sure my confidence in myself and anxiety came in the way of a lot of things. I had planned to venture in to one of my biggest dreams and go to Camp America this year but I just felt I wasn't ready. One of the main struggles is travelling alone, it panics me. At night is the worse, it has only been in the last few months that I have taken the bus alone when it is dark, and that is an achievement in itself. This year I planned to go out more and get more confidence on the bus, travelling etc. 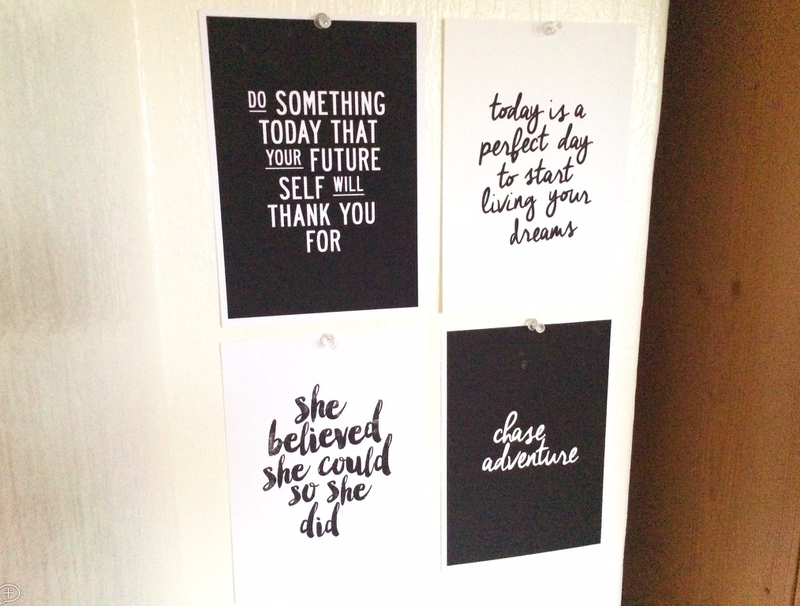 I purchased these quotes from Not On the High Street which I think are perfect for this year, every single one means so much to me and I believe can help motivate me. Let me know your NY Resolutions? What are your fav quotes?